Who's on your blog roll? Mine obviously! THANKS a million for supporting me in my new endeavor. Without your interest I wouldn't be here documenting daily what's on MOI's busy mind. It's been a fruitful few months. To think back in September at the beginning of the road I was nervous that I wouldn't have enough material to post daily, to now where I just can't shut up! HA. But I'm curious...Who else do you connect with? I would LOVE to know who your a fan of. Do tell! It's a new year and maybe like me your open to some new reading material that catches your fancy? I'll share mine if you share yours! Deal? These are the blogs I have come to adore if you don't know of them already. I catch up with them nightly before lights out and they have come to serve as my bedtime story until I crash. Here's my 2014 circle of new 'friends' who give the best tips, advice and inspiration. She's nutty, witty and makes me laugh out loud! 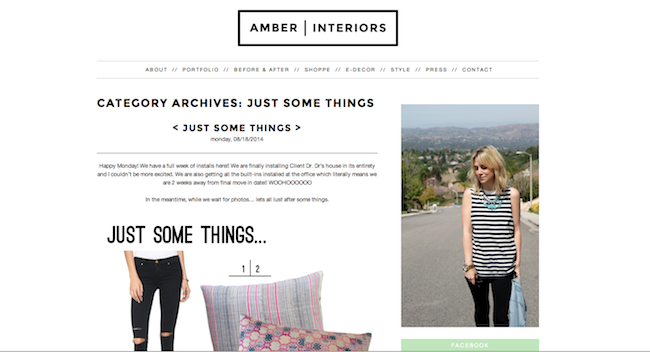 Amber's got the LA coolness and eclectic style working for her from interior to fashion. She's a riot! A NYC based gal. Love her down to earth personality. A former blogger for Glamour magazine and Conde Nast Travel. 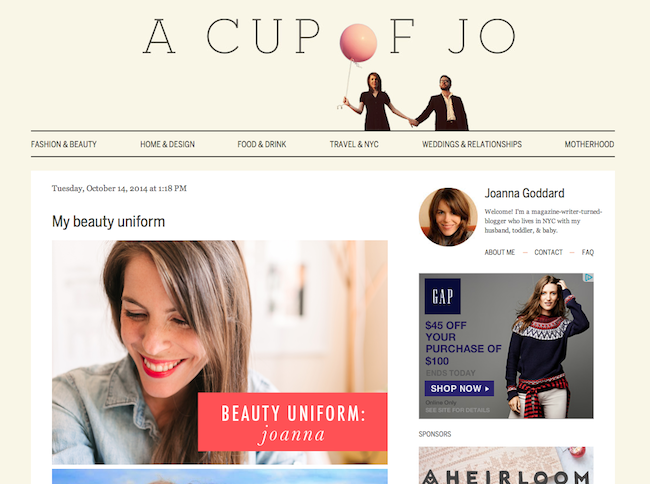 Joanna now leads a very similar lifestyle to me that revolves around kids, home and her personal blog. Her interests are on par with mine, and it's someone I could imagine being good friends with. She's my girl crush! A fashion blogger from Atlanta. Stephanie recently adopted a baby girl, which she speaks openly about the process, struggles and how they've bonded. In her own words: Just like that…we became HER NEW TRIBE. Hence the name of the blog is so sweet. She is genuine, personal and I enjoy her fashion sense. A mix of rock and roll + boho. Just the way I like it! A chick from London who has been living in Sweden for ten years. 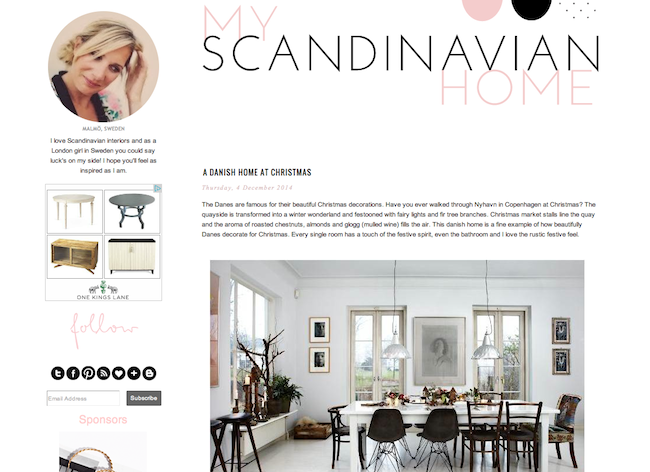 Niki has adopted and mastered the monochromatic styling the Swedes are best known for in interior design. I would like to invite her over for tea one day and have her walk through my house to help me figure out the fastest and cheapest way to give my home a face lift! I would trust her eye. My Aunt Ruth's blog! For 40 and over. I'm not that far from the big 4-0 so it applies! I like to be in the know of what I can look forward to as I get older, and the obstacles I'll be faced with. I've walked away with her useful tips and hopefully can learn from her to age gracefully. Not a blog (although they have their own blog) but something that comes daily and has become my newspaper. World news broken down into layman's English, where I can get the drift of what's happening in this oh so crazy planet we live on. They pin point the essence of the issue and if I want more details then that's what Google is for! 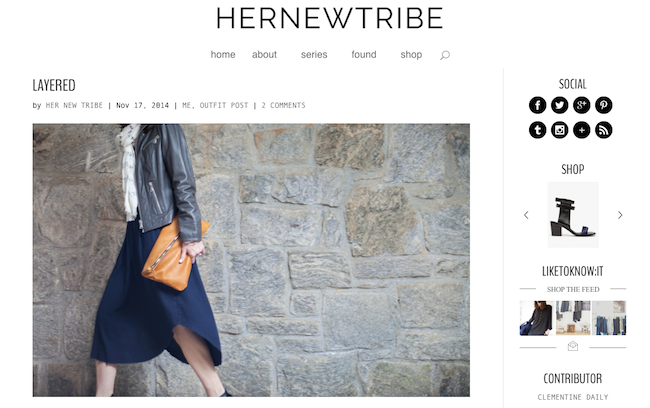 Do you already follow any of these blogs run by super women? 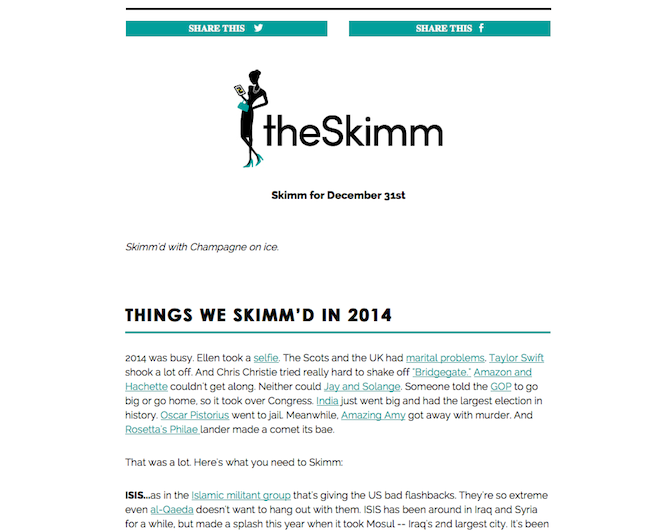 It just dawned on me that everyones blog I've listed beside's my Aunt and The Skimm is a young mother. Makes sense that there's a natural reason why I've gravitated towards them. We ride the same roller coaster and live similar lifestyles. DUH instant mommy connection! I think most of us need a personalized click to someone or thing before we can get addicted, right? Due to this I'm lacking in the food and travel department for blogs. I've been searching but haven't found any blogs I love and can read daily to get my fix. There is obviously Grub Street for food and Conde Nast Travel. But I'm looking for something more personalized. Somebody who has similar taste buds and travel style and interests as me. Any suggestions? Otherwise...When I find them I'll let you know!